Using the awesome power of the Atacama Large Millimeter/submillimeter Array (ALMA) in Chile, astronomers have probed the protoplanetary disk of a young star system — with a twist. ALMA is no stranger to protoplanetary disks; the array of 66 radio antennae in the Atacama desert is extremely sensitive to the emissions from the gas and dust surrounding stars. But this observation has revealed something more — there are two obvious dusty rings (orange) that are being sculpted by the presence of massive worlds, but between them (in blue) is a spiral gas structure. If there’s one thing I love it’s space spirals! When comparing these observations with theoretical modeling of the system — called AB Aurigae, located about 470 light-years away — for that gas spiral to exist, there must be some interplanetary interplay between two exoplanets orbiting the star at 30 and 80 AU (astronomical units, where 1 AU is the average distance that Earth orbits the sun). The spiral is following the direction of rotation of the disk. Besides looking really pretty, studies of these spiral structures help astronomers identify the presence of exoplanets and build a better understanding of the nature of protoplanetary disks. On Friday, the Extrasolar Planets Encyclopedia registered more than 700 confirmed exoplanets. Although this is an amazing milestone, it won’t be long until the “first thousand” are confirmed. There are now more than 700 confirmed exoplanets in the database. The latest addition is the planet HD 100655 b. Only two months ago, the encyclopedia — administered by astrobiologist Jean Schneider of the Paris-Meudon Observatory — registered 600 confirmed alien worlds. Since then, there has been a slew of announcements including the addition of a batch of 50 exoplanets by the European Southern Observatory’s (ESO) High Accuracy Radial velocity Planet Searcher (or HARPS) in September. The first exoplanet was discovered orbiting a Main Sequence star in 1995, and the rate of exoplanet detections has been accelerating ever since. It is worth noting that hundreds more candidate exoplanet detections have been made, many of which have been spotted by NASA’s Kepler space telescope. Kepler is staring at the same patch of sky, waiting for alien worlds to cross the line of sight between their parent star and Earth, registering a slight dip in starlight brightness. The 1,235 candidates will be confirmed (or denied) as Kepler awaits future transits. Detecting the slight dimming of starlight isn’t the only tool exoplanet hunters have to spot these alien worlds. The “radial velocity” method — as employed by systems such as the ESO’s HARPS — can detect the slight “wobble” of stars as orbiting worlds gravitationally “tug” on their parent stars. 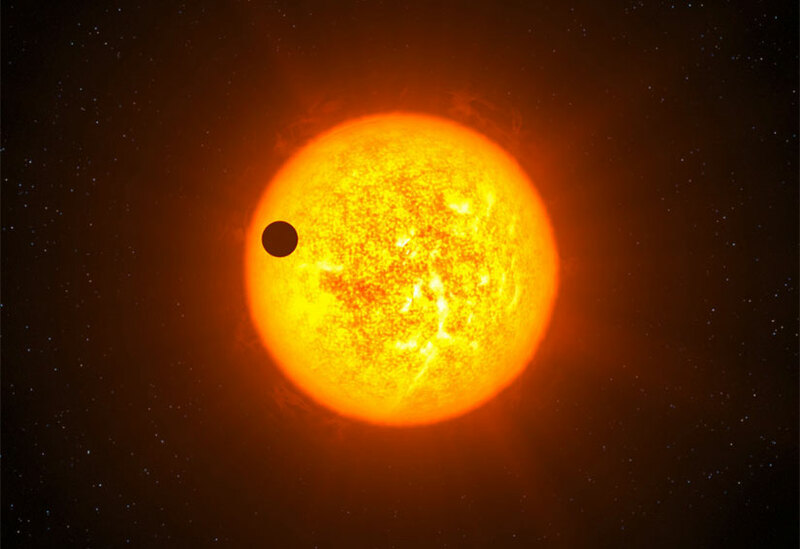 Both methods have their advantages and both are notching up an impressive exoplanet count. “Microlensing” has also been employed to spot a handful of exoplanets, as has direct imaging. Exoplanetary studies are amongst the most exciting astronomical projects out there. Not only are we realizing there is a veritable zoo of worlds — some Earth-sized, others many times the mass of Jupiter — we are also pondering the most profound question: could extraterrestrial life inhabit these worlds? For now, we have no clue, but life as we know it has a habit of springing up where we least expect it, it’s only a matter of time before we start to have some clue as to the existence of life as we don’t know it.